Wool this project set a precedent? We have been asked to help in the search for a crack team of knitters by engineers at the Forth Road Bridge. They need volunteers to help with an ambitious project which could secure the future of the bridge for years to come. 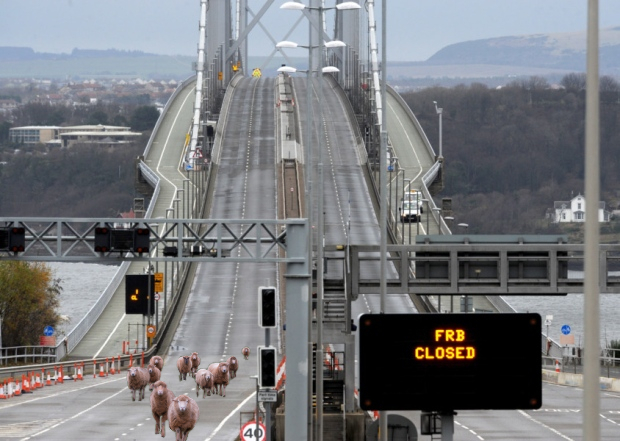 Plagued with structural problems in recent times, a knitted cable is to be made that will support the bridge deck and prevent further damage. 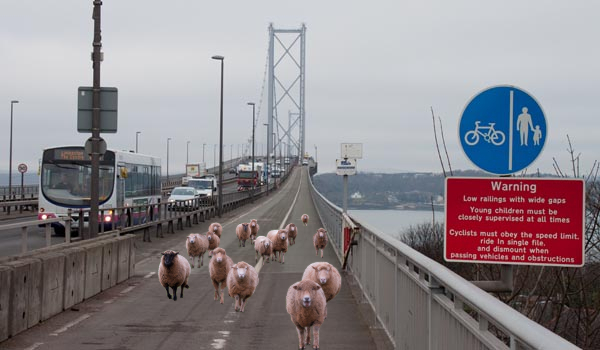 A specially spun yarn from sheep in the Highlands has been designed to be strong enough to hold the weight of cars and lorries crossing the bridge. Sceptics have accused engineers of "woolly thinking"
Senior Engineer Mhairi Knowles said, "We are combining innovative technology and age old craft skill to create this giant cable. It's the first time such an ambitious project has been attempted anywhere in the world."